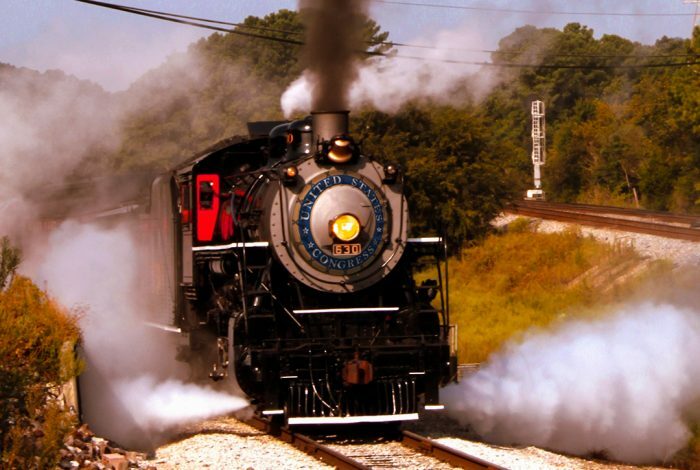 Budget negotiations can get off the rails easily, particularly this year. Photo credit: Adapted by WhoWhatWhy from Brent Moore / Flickr ((CC BY-NC 2.0) and Ipankonin / Wikimedia. Congress’s efforts to enact a controversial tax bill have been grabbing most of the headlines. That legislation is something the GOP majority in Congress wants to do — it does not have to do it. Meanwhile though, Congress does face a looming and very real deadline: lawmakers must approve a new spending deal for the 2018 Fiscal Year by December 8. If they fail to act, the government runs out of money and could shut down. Congress was supposed to agree on new spending bills by October 1, when the 2018 fiscal year began. But as is pretty commonplace now, lawmakers deferred making the hard decisions and opted to keep spending at 2017 levels until early December. Often, Congress avoids the pain of decision-making by simply continuing to spend federal money at levels set for the previous year. But there’s a complication that will prevent Congress from doing that this time, as we explain below. At present, nobody seems to want a shutdown, but getting to a spending deal to keep the government running will pose a number of challenges. The first challenge is a 2011 law, the Budget Control Act (BCA) that was passed to force Congress to live within certain budget constraints. Instead, six years ago, Congress tried whittling away the deficit by divvying up that $1.2 trillion over ten years, setting caps for what could be spent each of those years for defense, and for non-defense discretionary programs, like environmental protection or food safety. (A huge chunk of the federal budget is considered mandatory, including Medicare and Medicaid.) The law dictates that if Congress exceeds the caps, there must be cuts to federal spending for defense and domestic discretionary programs. “They’ve never really lived under the caps,” Ellis said. Even with these modifications, however, the BCA has helped put the brakes on congressional spending, reducing outlays by hundreds of billions of dollars. If House and Senate lawmakers don’t use this legislative fix, another way for Congress to avoid a political struggle over the budget is to keep spending at the same level as the year before, passing what is known as a continuing resolution (or CR for short). That’s what it did in September. To avoid a government shutdown on December 8, Congress may buy some time by agreeing to another short-term CR. But lawmakers can’t just extend the CR for 10 more months, until the new fiscal year begins next October. That’s because the BCA mandated a greater amount of deficit reduction in 2018 than in 2017, Ellis said. So just extending last year’s spending would mean exceeding the spending caps set for 2018. And there’s yet another impediment to evading the budget caps, Ellis noted. Congress could pass a law to amend the BCA so that spending can exceed the caps. In fact, that’s exactly what lawmakers have done since the law has been in effect. But to do that, the Senate will need the votes of Democrats. Unlike the tax bill, a vote to amend the BCA is subject to a filibuster and requires 60 votes in the Senate. Republicans have only a 52-48 majority. And this year, Democrats may have a lot of demands before they agree to a budget deal. Among these demands: protecting the Dreamers, young undocumented immigrants who have been in the US nearly all their lives and who fear deportation; restoring subsidies to insurance companies to prevent huge increases in rates for health coverage under the Affordable Care Act; and money for children’s health insurance, a longstanding program for nine million kids that has enjoyed bipartisan support. 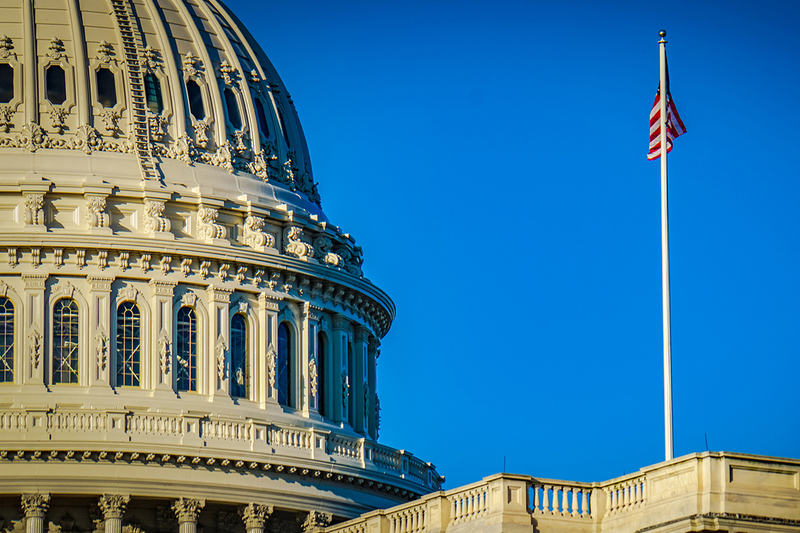 The budget resolution passed by Congress proposes 2018 spending levels of $549 billion for defense, and $516 billion for discretionary spending for federal agencies and programs. But Capitol Hill insiders assume that the numbers are too low for Congress to stick with. When the prospects of deep cuts to discretionary spending surface, there always are “howls of pain” from both sides of the aisle, Ellis said. So members will want to find a way to spend more. That’s why they will need to amend the BCA. But how much more? Adding to the uncertainty is the fact that no one yet knows enough about the final tax bill to accurately estimate how much it will cost in 2018 and over the next ten years. The Joint Committee on Taxation will be the “final arbiter” of those numbers, Ellis said, but there are differences between the House and Senate tax bills, and no one can predict how those differences will be resolved, or how the pressure from interest groups will shape the final law. “There’s a constituency behind every single one of them,” Ellis said, referring to tax breaks for special interests. And until that 2018 “final” number is agreed upon, likely through bipartisan negotiations to avoid a government shutdown, the congressional appropriators — the folks who actually decide how much money various federal agencies can spend next year — will be in the dark. Related front page panorama photo credit: Adapted by WhoWhatWhy from US Capitol (Elvert Barnes / Flickr – CC BY 2.0).